This entry was posted on October 31, 2011 at 21:05	and is filed under Bahrain, Middle East Corruption, Sheikh Isa bin Ali al-Khalifa. Tagged: al khalifa, bribery charges. 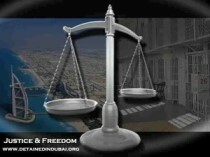 bahrain corruption, canadian businessman, serious fraud office, sheikh isa. You can follow any responses to this entry through the RSS 2.0 feed. Both comments and pings are currently closed.